While some gaming trends come and go, one of the most enduring genres has to be that of the arcade-style fighting game. The likes of Tekken and Street Fighter remain as popular today as they have ever been and their very nature means they are ideal for the world of eSports – and they have been, ever since the days of the arcades, when people would gather to watch great Mortal Kombat and Street Fighter players in action. The likes of Dota 2, League of Legends and Counter-Strike: Global Offensive might be among the biggest names in the competitive gaming world, but fighting game tournaments can offer the same level of thrills and also boast an equally enthusiastic fanbase. One of the biggest competitions related to fighting games is undoubtedly the Capcom Cup and here we take a look at the finer points of the tournament as well as everything you need to know when it comes to betting on it. As the name suggests, the competition is organised by Capcom and held in California with a primary focus on games of the developer’s flagship Street Fighter franchise. It was first held in 2013 and is now one of the most eagerly anticipated dates in the eSports calendar. While early tournaments saw gamers battle it out on Ultra Street Fighter IV, more recent years have seen Street Fighter V come to the fore. Held in December, it is regarded as the culmination of the fighting game season and follows months of qualifying action on the Capcom Pro Tour, with competitions taking place at major eSports events such as DreamHack and EVO. There are many factors to take into account before getting involved in Capcom Cup betting, but one of the most fundamental is understanding how the competition works. The Capcom Cup 2017 is set to follow the lead of the previous year’s competition and feature 32 players, but the way that those competitors reach the finals is changing as part of an effort to simplify the whole qualification process. The 32 players will be made up of the defending champion from the previous year, as well as the winner of an open “last chance” qualifier held at the event to add an exciting last-minute twist to the line-up. The other 30 players will be made up of the top players from the Capcom Pro Tour Global Leaderboards. Basically, competitors at events held through the year will be awarded points based on their performance and at the end of the season, they will be ranked by the amount they have earned. In addition to this, a Regional Finals structure will also be used to determine the best players in North America, Europe, Latin America and Asia. The top player from each will automatically qualify for the Capcom Cup even if they are not in the Top 30 on the Global Leaderboard. The players who are at the bottom of the rankings would make way for them. So that is how you get there, but what about the competition itself? Capcom remains tight-lipped on plans for 2017 but, using the 2016 tournament as a guide, it may well involve the top 32 being reduced to the top 8 on the first day. The remaining competitors will then battle for victory on the second day. 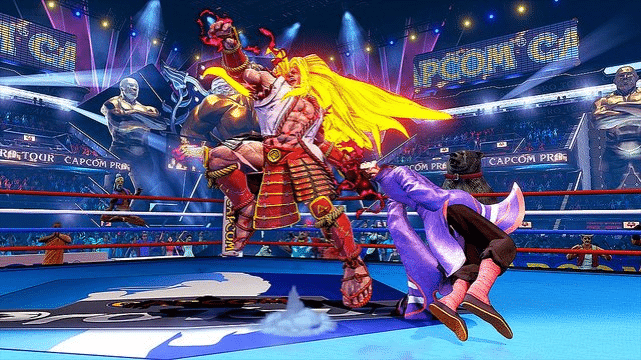 In terms of the prize pool, players at the 2016 competition battled for a share of a $360,000 pot, which is thought to be the biggest Street Fighter V pool ever. The winner of the Capcom Cup 2016 took home $230,000, with the rest of the money being shared among the rest of the top eight in amounts which reflected their position in the final standings. The high octane thrills of the Capcom Cup can undoubtedly throw up some shocks, but that does not mean the competition is always unpredictable. A bit of research can go a long way towards helping you make informed decisions when it comes to Capcom Cup betting. A good starting point is to identify the top players, in terms of both form and also their recent results at a range of events. Names to look out for include Du Cong Dang, aka NuckleDu, who is thought to be the highest earning player for SFV and was a finalist at the 2016 tournament. Ricki Ortiz, who beat NuckleDu in that final, is also a popular name in this area. Japanese players such as Kazunoko, Haitani and Fuudo, who all completed the top five at the 2016 event, are also among the most successful Street Fighter V players so are always ones to look out for too. However, do not just assume that the best known players will always prove successful. Remember that the qualification format, particularly with the last chance qualifiers, means there is a real chance for new talent to break through and cause a few upsets involving the bigger names. It is also highly likely that such players may also have longer odds, which may mean that a little gamble on them being successful could go a long way. In the months leading up to the Capcom Cup, it may well be useful to take a look at the performance of players in other events. This will allow you to see who is bang in form, as well as which competitors are perhaps not meeting their potential. Spend some time also looking at their strengths, weaknesses and the characters they use too, as this may provide clues as to who might win in an upcoming match. Finally, don’t forget to take a look at the news related to the upcoming event, as there could be some revelations about major names not being able to make it or other issues behind the scenes which impact on the lineup. Fighting games are an absolute classic genre so it is only right they are such an important part of the eSports world and celebrated in events such as the Capcom Cup. Here at Master Mazuma we love watching and betting on the tournament, which is why we offer betting options on it and related competitions throughout the year. Find out more about upcoming events and the all-important odds at our dedicated Capcom Cup betting pages at Master Mazuma. Take advantage of our generous sign-up offers and join a vibrant community that’s all about eSports today.